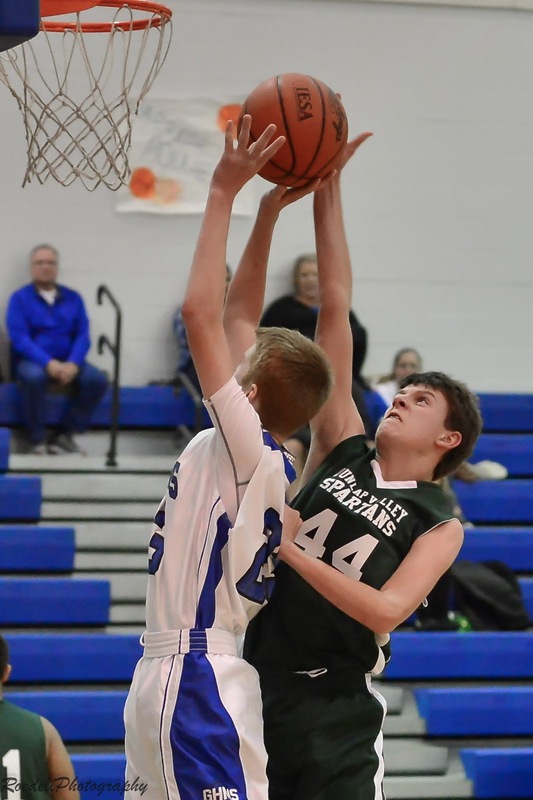 GHMS Boys Basketball 8th and 7th grade teams both declare a win over Dunlap Valley on 10312017. Opening non-conference game giving both teams a 1 and 0 record this season. 8th Grade winning score: 46 to 19. High Scorer: Mervis 20 pts. High Rebounder: Mervis with 4. 7th Grade winning score: 30 - 27. High Scorer: Hopp 8 pts. High Rebounder: Swanson & Hopp with 6ea. Next Scheduled Home Game: Girls 2 Nov 17 @ 5pm . Boys 7 Nov 17 @ 5pm.